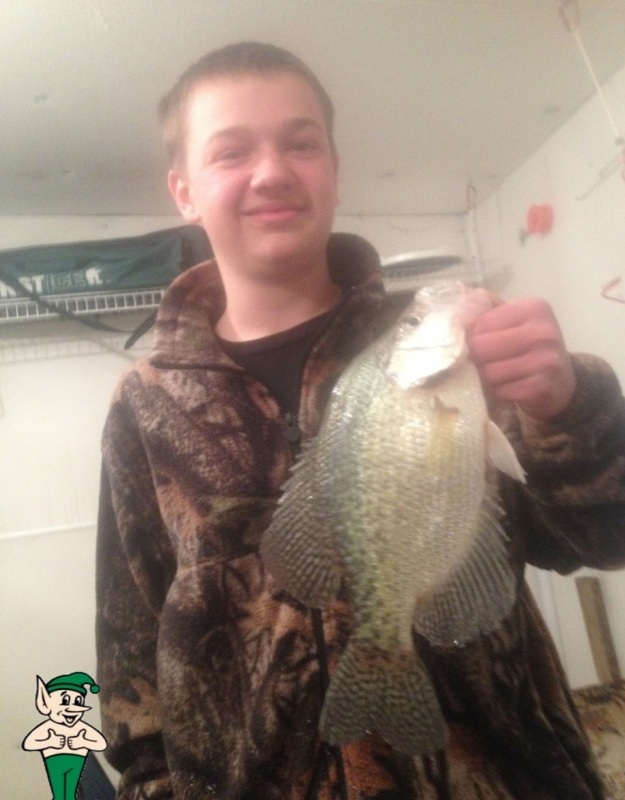 The Gremlin gives Cody a definite 2 thumbs up for this great looking Slab Crappie he recently hauled in ice fishing near Lindstrom, MN. Rumor has it at about 13 1/2″. Now that’s a great looking fish! Thanks for the picture Cody.